The Frankfurt fair that spanned from October 15th through October 19th gathered, as usual, publishers, agents and other stakeholders from across the world. 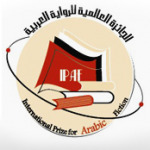 Representing Arabic literature, were, among others, the Banipal team, the Arab Scientific Publishers and the Arab Institute (Dar al arabiya li al ulum and al Mou’assasa al arabiya li al dirasat wa al nashr, respectively, Beirut). However, specially noticeable this year in Hall 5 was the presence of the ADACH‘s, the Abu Dhabi Authority for Culture and Heritage Foundation, and the MBR‘s, the Mohammad Bin Rached al Maktoum foundation, Dubai, bold stands. 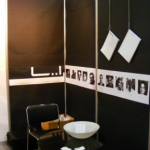 More particularly, the Abu Dhabi Book Fair (one part of the numerous ADACH cultural efforts, developed in partnership with the Frankfurt Book Fair team), announced the 2009 and first edition of ‘The spotlights on rights’. 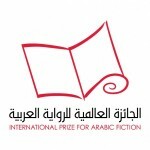 The ambitious program aims at encouraging acquisition of Arabic translation rights: every agent or publisher who concludes a deal with an Arab counterpart during the Abu Dhabi Book Fair will receive a subvention of 1000$. If the news aimed at marketting the Abu Dhabi Fair, one has to admit it was a success, since it did create a fair buzz in the hallways. It would be reasonable to say that the announcement has wider ambitions: to encourage the participation of non Arab publishers to the fair, and to encourage the acquisition of Arabic literature which is, one has to admit, often obstructed with several difficultiles. 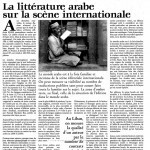 One may speculate that part of the reluctance of the international publishers in acquiring rights to Arabic literature are due to the opacity of the Arab book market, the absence of references, the vagueness of the notion of rights and of rights ownership, the great variability in the quality of the productions, and on top of it all, the fact that most publishers do not have readers of Arabic they regularly work with, or the judgement of whom they can trust. Let us hope then, that ‘The spotlights on rights’ will be the incentive the international publishers need to look further into Arabic literature, and the first step towards a more efficient management of rights in the local industry.